Special Olympics New York President & CEO Stacey Hengsterman today announced a Put Me In Coach! Campaign, seeking 60 “Young Athletes Champions” to donate at least $100 in the next four weeks. If successful, the campaign will make Special Olympics New York eligible for a $100,000 USA Today grant that it will use to add much needed Young Athletes programming for children ages 2-7 in New York City. Anyone wishing to be a Young Athletes Champion is asked to click here: Put Me In Coach! One of the fastest growing Special Olympics programs in the country, Young Athletes engages children with and without intellectual disabilities in activities important to their mental and physical development (running, kicking, throwing, etc.) while also teaching them to play in an inclusive environment. Young Athletes also exposes children and their families to Special Olympics New York programming early on, so that they are not only aware of opportunities to participate but also become physically prepared to get started by age 8. This introduction of routine physical activity at a young age sets the stage for a healthier lifestyle, and encourages friendships and learning. 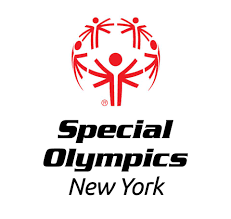 To implement Young Athletes, Special Olympics New York works with a partner organization, school, group or individual who wishes to provide the program. It delivers education and training on program content, strategies, and techniques; and to ensure quality, a licensing exam is conducted by Special Olympics New York before the program is launched.